It has taken quite a while for version 1.10 of The Dawn of the Tiberium Age to get finished, but it's finally here and I promise you that it's not just been collecting dust all year long. DTA 1.10 has the longest change log yet, so I'm just going to link to it: http://dta.ppmsite.com/changelog. The most notable change is without a doubt the addition of the enhanced mode. 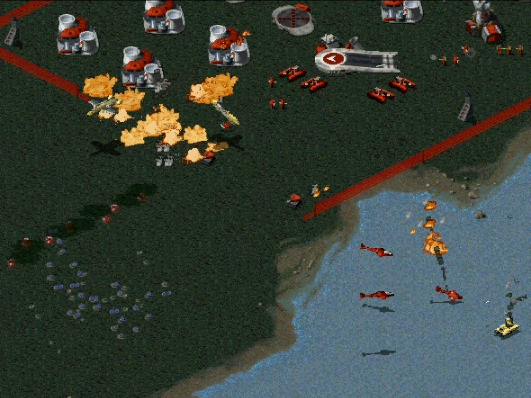 While the classic mode aims to be a perfect replica of C&C95 on Tiberian Sun's engine, the aim of the enhanced mode is to improve or add features to the ones you're already familiar with from the classic mode. To get a better idea of what I'm talking about, just watch the trailer if you haven't already seen it or you can of course just head straight to DTA.PPMSITE.COM to download and play the mod straight away (do watch the trailer if you haven't seen it however, because I put quite a few hours in making it ). ...well damn! I may have to bother to download it this time. Does this mod have a campaign? Also, why is there tibsun tiberium in that pic? You should. It doesn't (yet). There isn't. Just. Wow. Amazing vid, but better yet, orgasmic mod! I'll download it on my other computer that can actually play CnC games. Would you like us to mirror the download?